Classic Disney characters in comic books? Yes please! This time, it is not Disney that is making the comic book. Local San Diego company, IDW Publishing, is to create a brand new comic book series featuring the likes of Mickey Mouse and pals, according to The Hollywood Reporter. Coming this April, the first issue in this series will be released in the United States. The issue is to feature Uncle Scrooge. 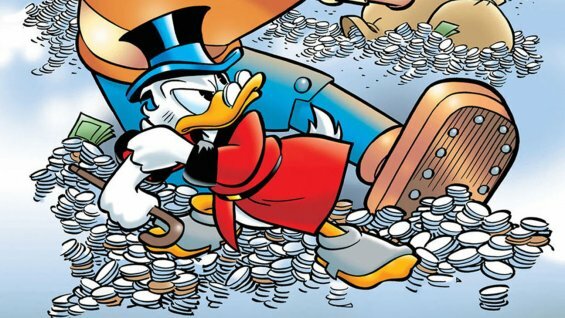 As for the next issue, in May, Donald Duck will get his own story. The article goes on to say that the series “will feature reprints of work originated overseas for foreign-language Disney comics.” With those issues in hand, covers will feature new themes based on a Disney Park land. There is one issue though as to legal matters. Licensing for characters and other material is split between multiple companies, both private and public. IDW Publishing has the licensing rights to animated classic Disney characters and Marvel has the rights on material such as Disney Parks property. The Hollywood Reporter mentions that this is the second comic book series IDW has received the licensing for. Back in 2013, the company gained licensing for Cartoon Network properties. Further details on the series name has not yet been released.